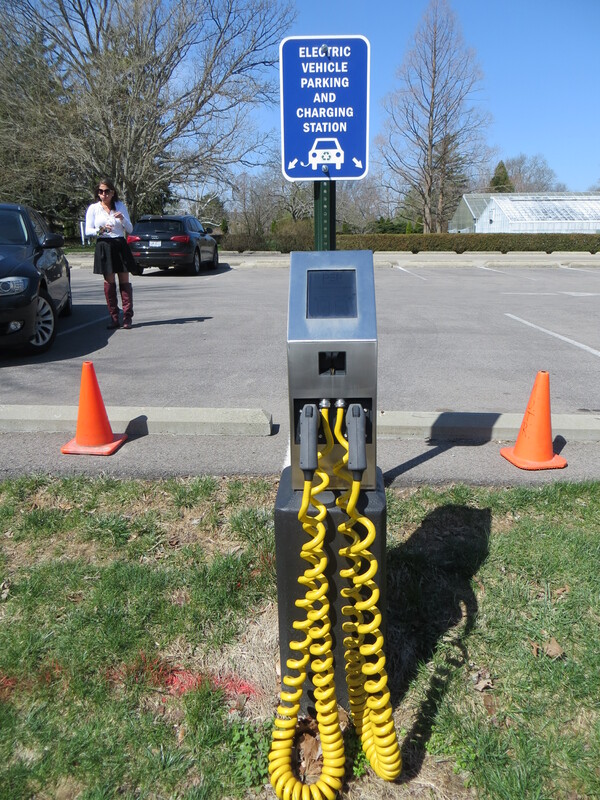 Miami University’s Marcum Center parking lot on East Quad has a little known secret: it is home to two electric car chargers, the only two of their kind in Oxford. 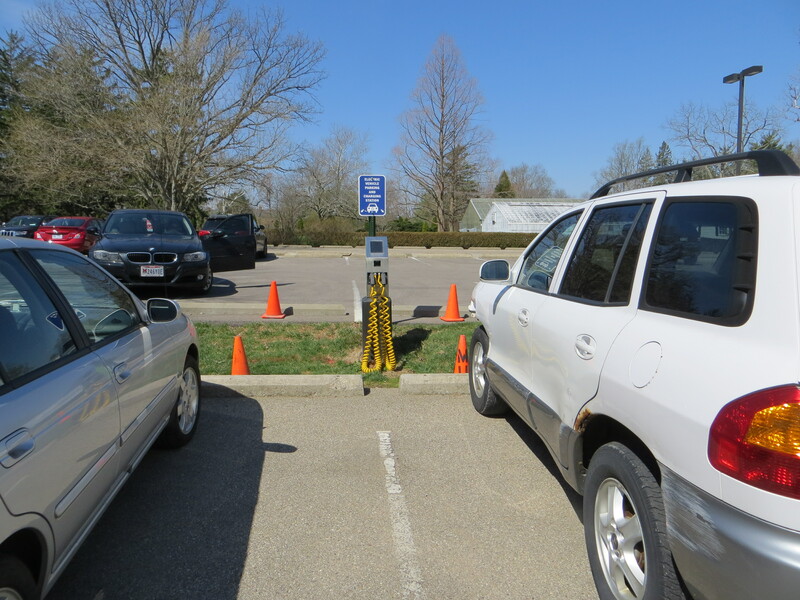 The chargers can be accessed from four parking spaces and have been functional for a year now, according to Ritter Hoy, Miami University media relations coordinator. It is uncertain how many people have used the station since last April, as the SD card designed to keep track was not working and has recently been replaced. However, Hoy said there are only three electric cars in Oxford. One of them is driven by geography professor James Rubenstein. Another electric car is owned by the husband of a faculty member. The man works in downtown Cincinnati, where, he told Hoy, he could go four blocks in either direction and not find an electric car charger. That is not to say there are no electric car spaces in the area. A map made by the U.S. Department of Energy showed several chargers in the Cincinnati area, as well as two additional ones in Butler County. Miami’s spaces cost the university $26,000, according to the Dayton Daily News. However, use of the chargers is free, although there are slots in the machine which Hoy speculated were designed for Marcum Center key cards. Hoy went on to explain that charging stations are more efficient than their at-home equivalent, and can do in a few hours what typically takes closer to ten. Hoy approximated that the spaces had been finished in June of 2012, though it took nearly a year to make them fully operational. The parking spaces were part of the renovations made to the Marcum Center completed in 2012. The project manager who ordered the spaces no longer works for Miami, so Hoy said they had no explanation as to why the decision to include the spaces was made. The chargers’ location allows those visiting Miami for conferences to travel in their electric vehicles, but Hoy said that it would be difficult for anyone to travel a great distance in an electric car because of the need to recharge along the way. Electric car drivers might also have trouble nabbing the spaces before a regular car does. As of right now, the Miami University Police Department is not fining students for using the spaces, although the four orange cones around the machine suggest that this may change in the future. Local law makers may have to set regulations on who can use these spaces as well. She stated that with cutbacks on parking spaces, there are no plans to build additional electronic spaces. For now, two chargers should sufficiently accommodate the three electric vehicles cruising the streets of Oxford.